Mommy & Me Mondays: Let's Celebrate Dad! Father's Day is right around the corner and its sometimes hard to come up with creative ideas for you and your little ones to do for Dad. So we have a few ideas in mind. 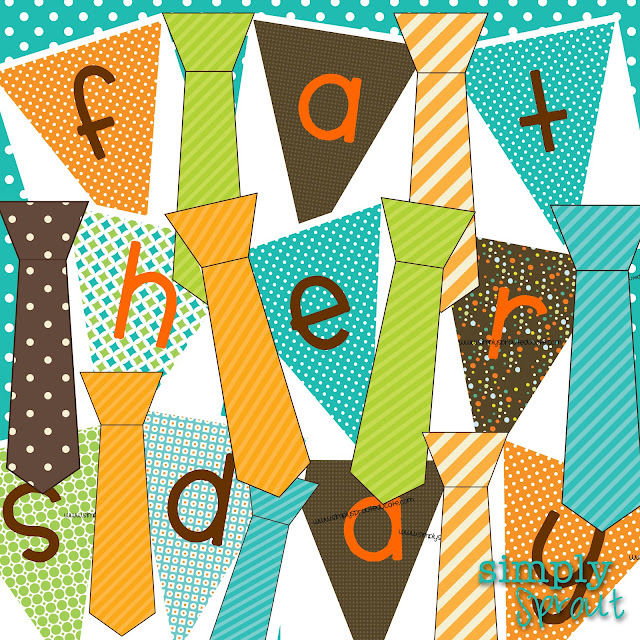 Visit us at Teachers Pay Teachers to download a cute banner for Father's Day...but hurry up and get it while it's free for the next 24 hours only! It is super easy to assemble. Just print onto white card stock using a color printer. Hole punch each pennant and tie at the top corners so you can attach using colorful ribbon. This is a great skill for your little ones to help with. Using their fine motor skills to thread the ribbon through the holes and then practicing their tying. If your little ones are a little too young to help, have them practice the same skills you are by using their own toys. My little one loves using the hole puncher on colorful construction paper. Have them count the number of holes they punch while you are busy assembling dad's banner. While you are lacing dad's banner with colorful ribbon, they can practice their fine motor skills using lacing toys like the ones below. 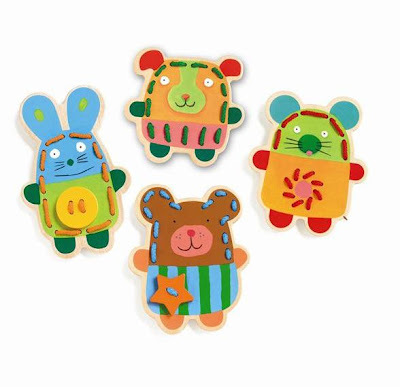 They are great for enhancing hand eye coordination and are a perfect way to keep those little hands busy and learning. Visit our pinterest site for more creative ideas for Dad!